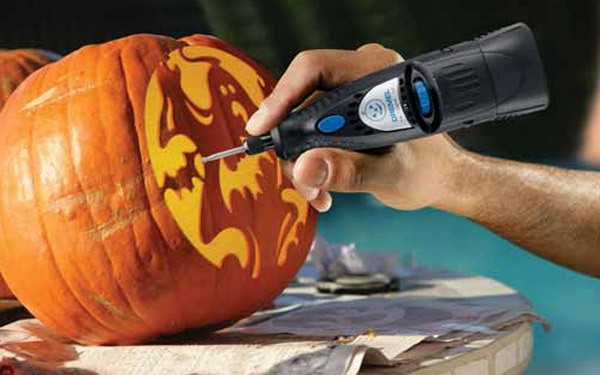 Currently viewing the category: "Dremel"
The whole pumpkin carving thing has been one of those far-off experiences I remember as a kid or hear about in other people’s fantastic tales. As I have a two-year-old now, this week was the first time I’ve picked up a pumpkin and fired off a design. It was both better and worse than I thought it would be. 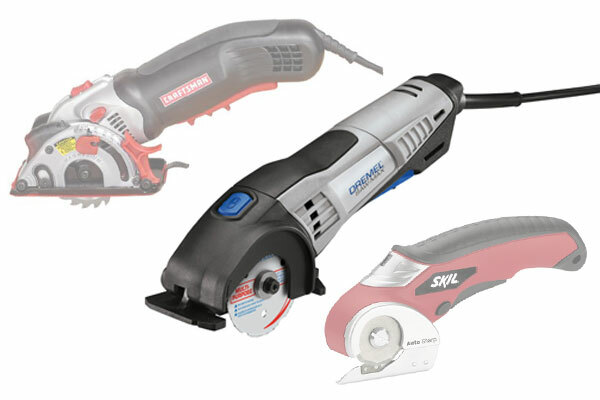 What’s bigger than the Skil Multi-Cutter but smaller than a trim circular saw? If you answered the Craftsman Mini Circular Saw, well, you’re right. 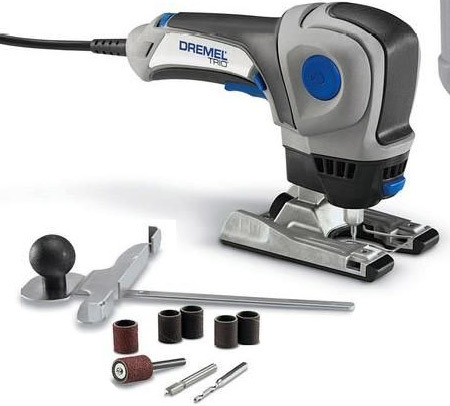 But Dremel now offers their own take on the tool, which looks like the 9-months-later result of a steamy night between the Craftsman and Skil. Lacking the Craftsman’s huge fence and chunky guard, the Dremel still looks a lot more versatile than the Skil. The Dremel Scroll Station has been in the Toolmonger shop almost since the beginning of Toolmonger. It sits on a shelf, quietly minding its business until we come up with some strange call for it and drag it out from its slumber to cut funky shapes. Without really thinking about it, we’ve never even reviewed another scroll saw because it became the standard by which we judged other saws — a judgment that left many others lacking. 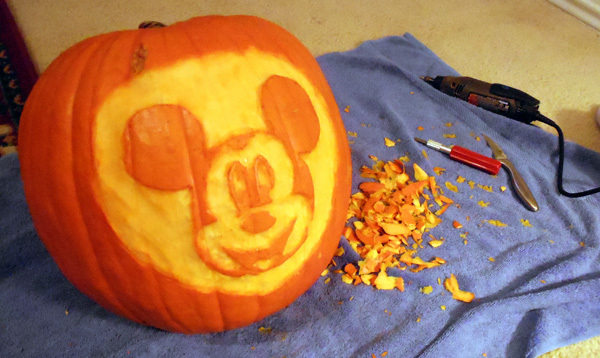 Pumpkin Carving or Punkin’ Chunkin’? Even here in Texas now, there’s a snap to the air and leaves are falling. The holiday season begins for many folks at Halloween. Pumpkin carving and punkin’ chunkin’ are both traditions this time of year — of course, punkin’ chunkin’ being more of full-contact affair with lots of gratuitous ground-on-punkin’ action and punkin’ explosions, and pumpkin carving being a more “traditional” art with faces and such being carved into rinds. Reader Question: Brand-Name Accessories For Oscillating Multi-Tools? 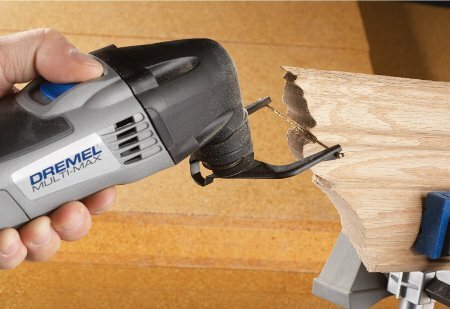 We’ve loved the explosion of Fein-style oscillating multi-tool knockoffs in the last few years, and it’s great to know that Dremel, Bosch, Craftsman, Ridgid — and lots of others — now produce models, each with a slightly different feature set and price. But it’s made things a bit confusing when it comes to accessories. 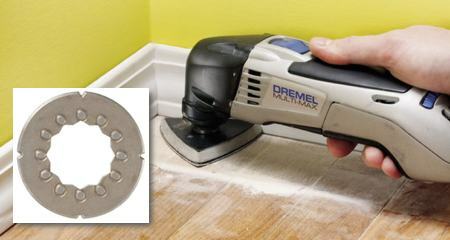 Do you need to buy Dremel accessories for your Dremel multi-tool? In short: No. With some limitations. This is definitely in the top three things ever posted to the Toolmonger photo pool as far as I can tell. Reader StonySilence decided not to argue with flamers that voiced dissenting points of view about the cutting prowess of the Dremel Trio but to show them what’s up by posting a demo in video form. This video exhibits the same kind of spirit that we had for starting Toolmonger in the first place. We still have many discussions in the shop that end in, “…hell I don’t know, let’s try it and see.” It seems Ms. Silence is cut from the same cloth. 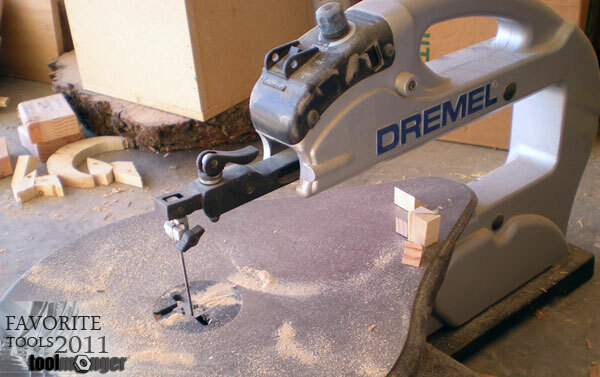 We have long been believers of the Dremel multi-tool here at Toolmonger. 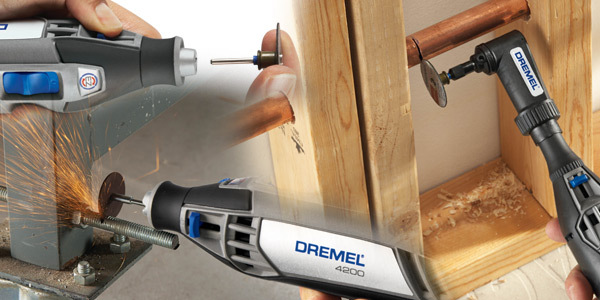 It is both rugged and multi-functional, and we get that same feeling from the new Dremel Trio combo kit. It’s a mini-router, drum sander and spiral jigsaw rolled into one, for $99. Tool elitists will immediately point to its multi-functionality and tell you it’s not as good as regular stand-alone units — and they are correct; it’s not. Any well-designed shop tool of single purpose will likely beat it in a straight-out fight of features and versatility. However, that’s not what the Trio was designed to do. It was built to give DIYers a single tool for $100 and let them do all the things around the house they’ve been meaning to get around to with no hassle — and it’s going to work. …the cordless pet nail grooming rotary tool! Seriously, will Dremel ever fail to think of a new application for this cool little AA-powered version of the classic home-shop standby? Usually we see the orange version appear around Halloween time, packaged with some cutters as a pumpkin carving set. And you’ll certainly find other variants as well. But does it work grooming dog nails? I can’t say. I have cats, and this wouldn’t work at all for them. Personally I’d be a little concerned that if Fido flinched he’d get nicked by the grinding wheel. And then there’s the heat. That said, however, Amazon customers seem about evenly split between five, four, and one star ratings. The most common complaints included excessive nail dust and short battery life. Of course, your mileage may vary. Street pricing starts around $22.